Whether you are a bike messenger, a high school or college student, or someone who wants to add a little flair (pardon the “Office Space” reference!) 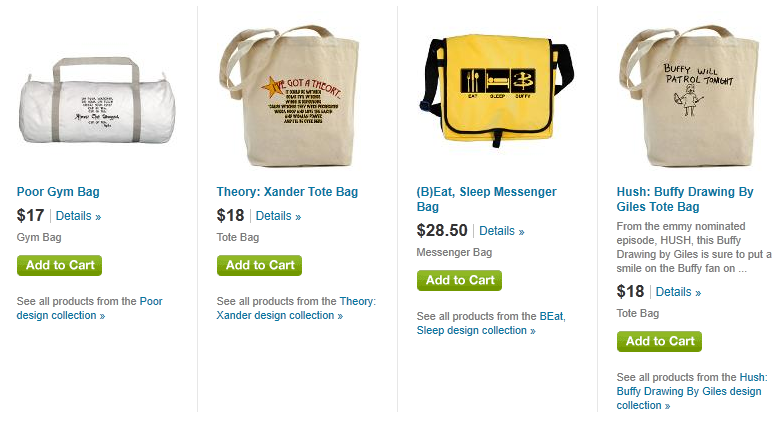 to his or her worklife, there are “Buffy” bags available for you. 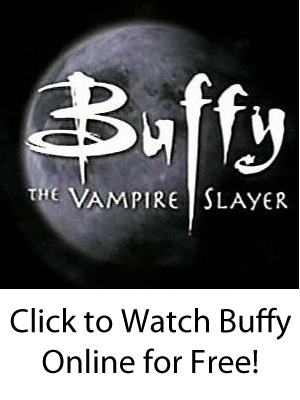 We at BTVS Online have found the best resource for all types of “Buffy” totes and related items, and we are now happy to list them here at our website for every fan’s reference. This resource provides bags made by professional and independent manufacturers who can send them to your home quickly. Bags are not just for students anymore — even businesspeople today rarely have suitcases and briefcases since it is hard to carry and transport laptop computers safely in them. When the founder of this website lived in Boston, he saw people carrying backpacks to work in the city’s financial district. (Though he had yet to see anyone with a “Buffy”-themed one!) Moreover, those people who are environmentally conscious are bringing their own totes to grocery stores to cut down on the waste that comes with the choice of “paper or plastic.” Why not go shopping with a “Buffy” bag as well? 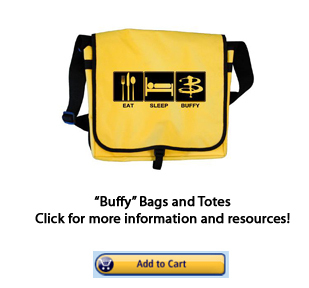 We have listed more types of “Buffy” merchandise and collectibles at that other section of this website, and a few of the various “Buffy”bags that are available for purchase are pictured below. Just click on an image to be taken to the website! Whether you want to show your slayer pride while grocery shopping, while on your way to work, or walking to class, there’s surely the perfect one for you.